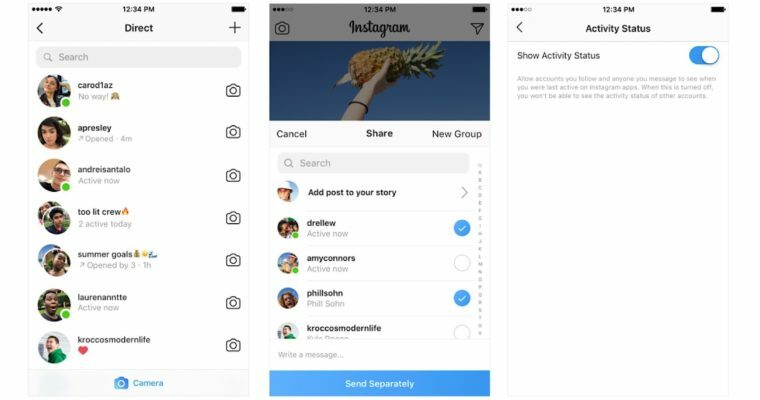 With a recent update to Instagram, the app will now show users when people they’ve direct messaged are online. This feature works like Facebook Messenger, showing a green dot on a person’s profile picture to indicate they’re currently active. The online indicator will appear in a user’s DM inbox, and their friends list when sharing a post from their feed. Users will only see the online status of people who follow them back, or people they’ve previously direct messaged. Those who do not want to broadcast their online status can turn it off from the settings menu. However, users who choose not to display their online status will not be able to see the online status of others. This feature is now live in the latest version of Instagram for iOS and Android.